Tiger Balm Tiger Muscle Rub is a high quality analgesic cream specially formulated for active people. It is non-greasy, easy to apply and does not stain clothes. Massaging in Tiger Balm Musle Rub provides fast temporary soothing relief of minor aches and pains associated with sore, aching muscles, muscle strain, backaches and stiffness. 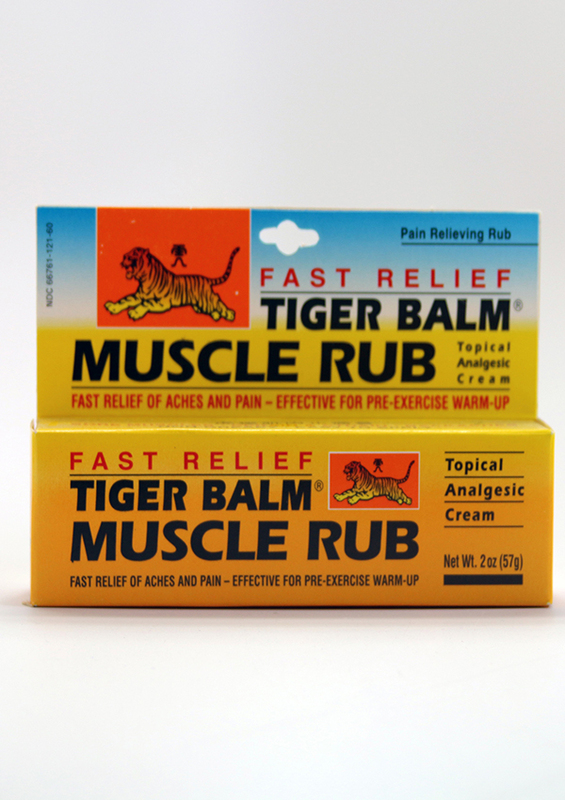 Tiger Balm Muscle Rub's deep penetrating formula starts to sooth sore muscles immediately. Massage in Tiger Balm Muscle Rub before sports or exercise to help prevent stiffness from setting in. Use it after sports and exercise to help soothe aching muscle, muscle strain and stiffness. Keep Tiger Balm Muscle Rub in your athletic bag, your locker, and at home! Apply generously and gently massage on the affected area until completely absorbed. Repeat 3 to 4 times daily as necessary. Use before or after sports or exercise to help soothe aching muscles, muscle strain and stiffness. Do not apply bandage, wrap or heating pad. Stop use and ask a doctor if condition worsens, or persists for more than seven days or clear up and occur again within a few days.